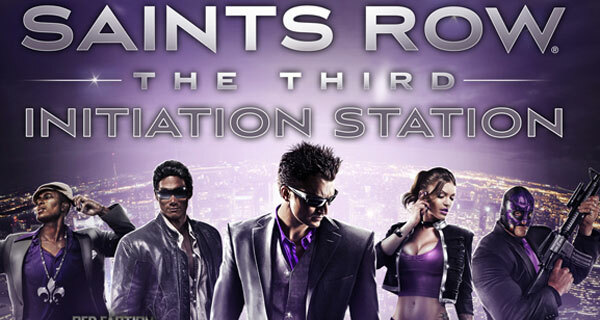 Another very popular video game series that “borrows” heavily from Grand Theft Auto is Saints Row. Saints Row the Third is set to come out Holidays 2011 and has included a feature that they think will set them apart from the other games. It will feature an initiation station or character creator that will allow you to create a HUGE amount of characters and share them with your friends online. You can even create a character at the same time with a friend online. A) If you REFLECT on video games in general, Why do you think addition of a huge character creator will be popular/unpopular with consumers? B) Even though Saints Row is already a popular game, why types of features do you think will make it more appealing/less appealing? A) Because people want to make their character they play with in the game look the way they want it. Thats why some of the games where you cant even edit your person isnt popular. a) BECAUSE IT IS REALLY COOL. PLUS IT HAS A LOT OF GRAPHICS. ALSO THEY HAVE GANGS AND THE GANGS OWN PROPERTY AND WHEN YOU BEAT THERE MISSIONS YOU GAIN PROPERTY. b) THEY MIGHT HAVE MORE GANGS AND A BIGGER MAP. ALSO NEW PEOPLE NEW HOUSES AND A NEW LOCATION. A) I think it could become really popular because it is different then the others. B)Well since those video gamez are really vilont. Plus lots of BOYZ play the game. I think you should be able to make your own type of wepon if you get on the right level or something. I honestly don’t really know cause I think video gamz are dumb. A.it get more popular because it teaches you how about being in a gang. B.it is already a popular game. it has alot of vilence. A)it would be popular because every body loves saint row because it has a lot of action and killing and every body loves violent things. B)it would be appealing because it has a lot of appealing stuff that is in the. because if they are a super famous and you make like a addicting shooting/fight you the game will become famous. you can customize the character the car and a whole bunch of other features so that’s what makes it cool. B) Even though Saints Row is already a popular game, why types of features do you think will make it more appealing/less appealing?you can beat people up on TV you can be fat,skinny,strong,weak,young or old so its safe to say more popular. A. So that you can make your kind of character you like. B.The new fighting style will make the game more appealing.The realistic crashes will make it better.And the new clothes will make it better. And the new weapons will make it better. A. I think they would popular because they are the main charactor. B. More real listic and better grapics. Because everybody likes 3rd person games(see their whole guy)so they can see to kill others. Some types of features that i think will make saints row more appealing is having space guns like ray guns and lightning guns. A.HE OR SHE MAY BE POPULAR BECAUSE PEOPLE ARE WANTING TO PLAY THEY’RE NEW VIDEO GAMES THAT ARE IN STORE. B.IT WILL BE MORE APPEALING TO PEOPLE WHEN THEY PLAY THE GAME. This entry was posted on May 9, 2011 at 7:00 am and filed under computer,media,middle school,School,technology,Uncategorized. You can follow any responses to this entry through the RSS feed.